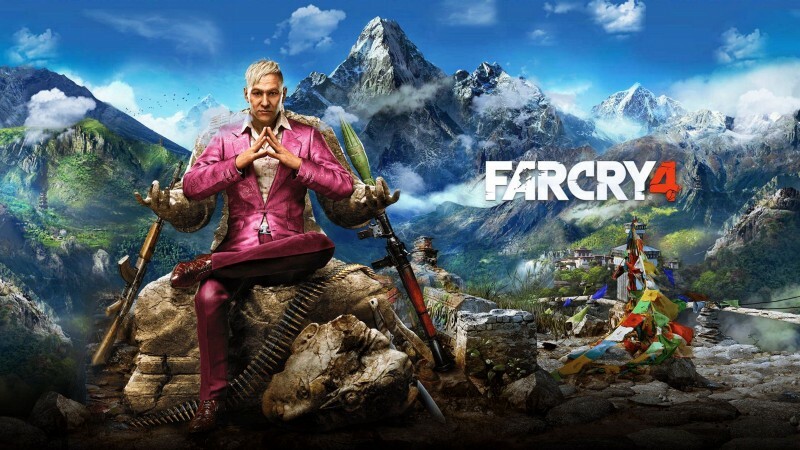 Meanwhile 2014’s Far Cry 4 attempted to improve upon what Far Cry 3achieved while also addressing some of its criticisms: notably the balance of this systemic framework operating in and around a linear narrative. 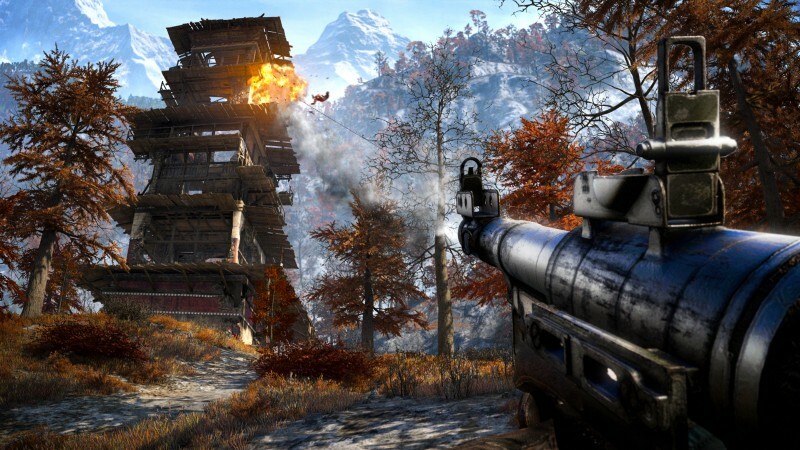 This system was enhanced for Far Cry 4 to become to create more interesting and varied events. Placing the NPCs in the world is one thing, but placing them in specific configurations related to one another can result in the player becoming involved in more engaging experiences. 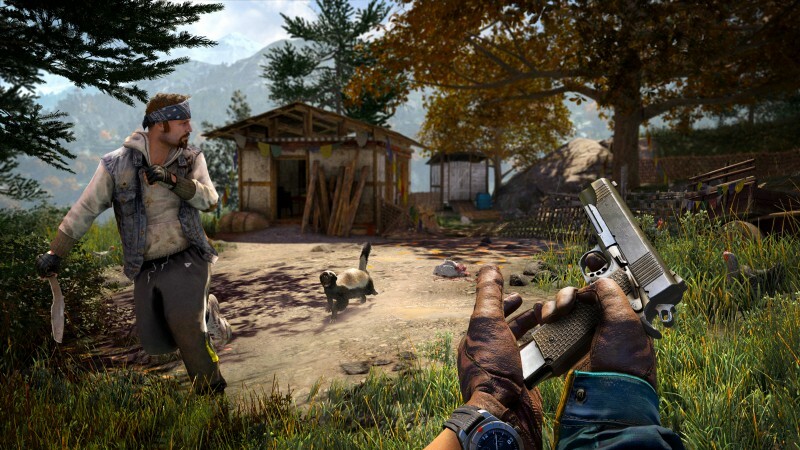 As such, Far Cry 4introduced a dynamic encounter method that procedurally generates events within proximity of the player: such as enemy NPCs in combat against Kyrat’s wildlife. This pays attention to your current objectives, sometimes putting them in the way, or focusses on completed tasks, like having a recently captured output come under attack again by the local militia. The use of dynamic director systems has become increasingly popular for open-world game environments: with titles such as Saint’s Row IV, Titanfalland The Witcher III: Wild Hunt all adopting these in some fashion or another, with their own unique design problems to solve. 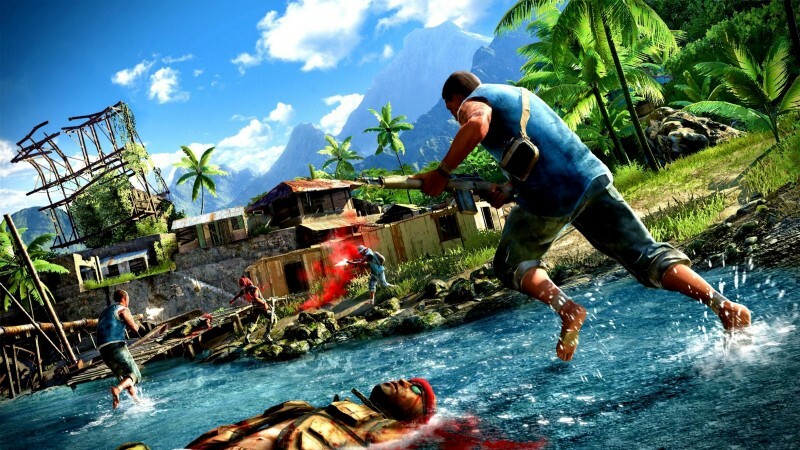 But this isn’t the only innovations that the Far Cry series continues to make, with the more recent entry Far Cry: Primal, introducing companion AI in the form of tamed animals. 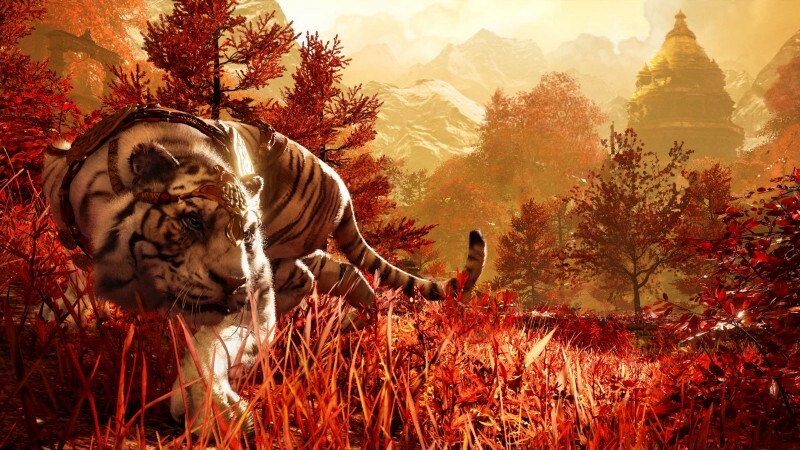 This is in fact an extension of the AI system used for the tiger companion in the Shangri La sequence of Far Cry 4. We’ll be returning at a later date to talk all about how that works and the design problems Ubisoft’s developers overcame to make it a reality.